The prefrontal cortex is an area of the mammalian brain that covers part of the brain’s frontal lobe. 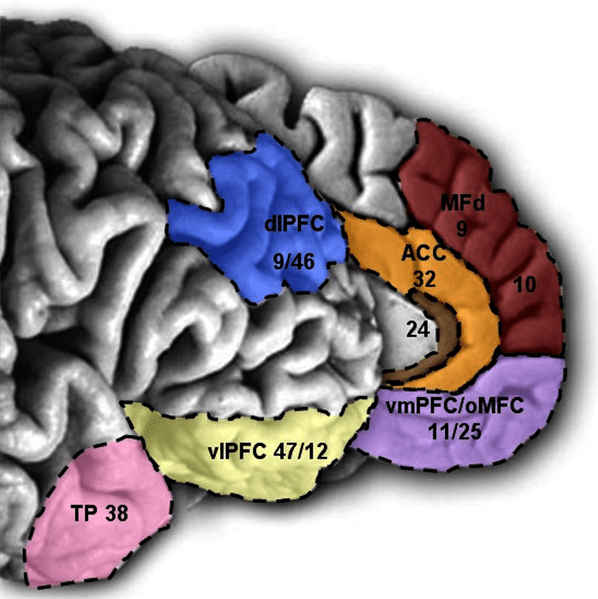 The prefrontal cortex is linked with personality, planning, decision making and moderating social behavior, and in a new study, it was found that stimulating the prefrontal cortex with electrical currents reduces the desire to carry out violent actions. Research done at the University of Pennsylvania shows that the use of minimally invasive electric currents on the brain’s prefrontal cortex reduces the desire to carry out sexual assault or physical assault. 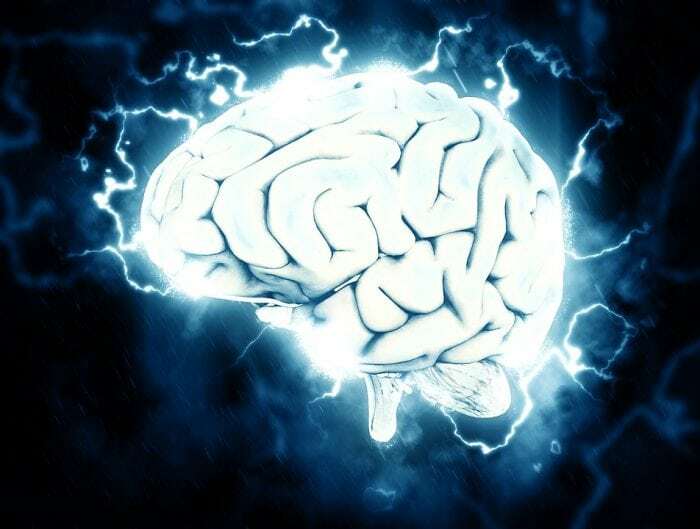 The research found that using a mild electrical current on the prefrontal cortex reduced a person’s intention to commit a violent act by upwards of 50%. Stimulation of the prefrontal cortex even increases the perception that such violence is morally wrong. The study, published in the Journal of Neuroscience, was the result of a collaboration between the University of Pennsylvania and Nanyang Technological University. The research team conducted a double-blind randomized controlled trial on a test pool of about 80 individuals who were 18 years of age or older. At the study’s beginning, the participants were randomly assigned to one of two groups. The double-blind nature of the study meant that neither the participants nor the researchers knew which participants were in each group. The first group of participants was given prefrontal cortical stimulation for 20 minutes while the second group received a placebo treatment. A third group of participants received a low current for only 30 seconds, after which they received nothing. The research team focused in on the prefrontal cortex, specifically an area of the prefrontal cortex called the dorsolateral prefrontal cortex (on top of the cortex in the front area of the brain). Previous research has found that antisocial individuals have deficits within the region of the brain. Olivia Choy, a psychology professor at NTU Singapore was the lead author on the paper and explains that the goal of the study was to determine whether or not there was a causal role of deficiencies in this brain region regarding antisocial behavior. Choy says that the problem with simple brain scans is that if an offender’s brain is scanned we can’t really know if the brain deficit caused the behavior or if aspects of the behavior may have caused the deficit. To better tease out a potential causal link between violent/antisocial behavior and the prefrontal cortex, the researchers presented participants with two different hypothetical scenarios after their cortices were stimulated. The participants were told about a scenario involving a physical assault and a sexual assault and then asked to rate the probability, on a scale of 0 to 10, the likelihood that the participant would act as the protagonist in the scenario. For those individuals who received the treatment (were part of the experimental group), their desire to carry out the hypothetical physical and sexual assault dropped by an average of 47% and 70% respectively. The participants were also asked to rate their moral disapproval of the scenario on the same 0 to 10 scale, and this climbed as their desire to carry out the violent act dropped. Adrian Raine, professor and psychologist of the Penn Integrates Knowledge program explains that the research is the result of interpreting violent crime through a public-health lense, something that is rarely done in the US. Our society often views violent crimes and perpetrators of violent crime through a moral lens, branding the perpetrators as evil and then responding with retributive justice practices. A public health approach views violent crime as a disease that could potentially be treated with the right technology and strategies. Raine says that we have historically not used the public health approach to intervene in violence, but that the new research shows promise that could make it more viable. Raine says that there was only one 20-minute session in the study, but that the effect was prominent and wonders what could be done with longer or more regular sessions. We’re trying to find benign biological interventions that society will accept, and transcranial direct-current stimulation is minimal risk. This isn’t a frontal lobotomy. In fact, we’re saying the opposite, that the front part of the brain needs to be better connected to the rest of the brain. While the results of the recent study are encouraging, Choy urges caution and says that there is still plenty of work to be done before this type of treatment could effectively be used to reduce violence. For one, their study needs to be replicated and expanded upon. Hamilton will be collaborating with a team of researchers to investigate the potential of a high-density transcranial direct stimulation device. The device that Hamilton and colleagues will work on is higher-resolution than the device used in the recent study and stimulates a smaller portion of the prefrontal cortex, which the researchers hope they can use to learn more about the effects that such stimulation could have when applied over longer periods. The researchers will also be investigating the long-term effects of the treatment. Raine says while their research isn’t a magic bullet that can wipe out crime and aggression, it could lead to meaningful changes in policy as an intervention technique. Perhaps transcranial direct stimulation could be offered as an option for first-time offenders to reduce their likelihood of committing violent acts in the future. “Perhaps the secret to holding less violence in your heart is to have a properly stimulated mind,” Hamilton says.